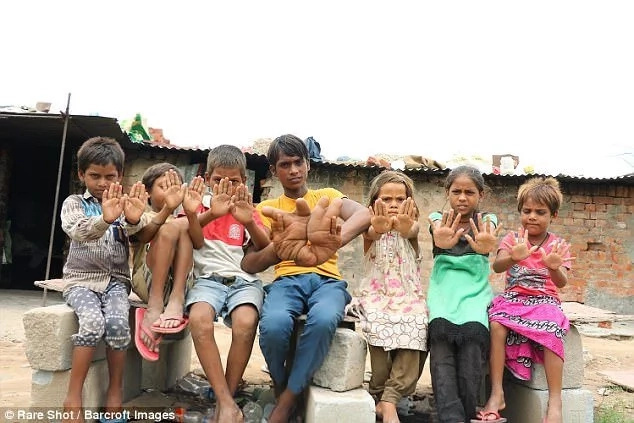 This 12-year-old Indian boy carries at the end of his arms the eight wonder of the world. 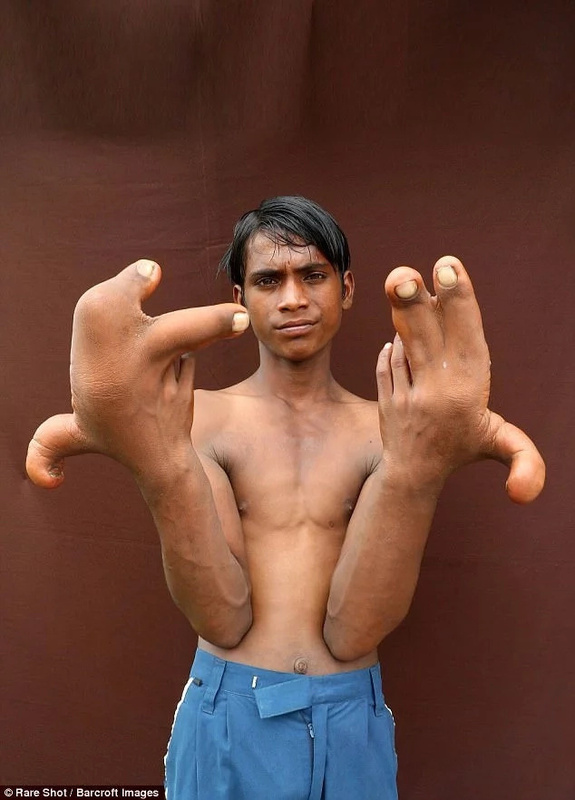 Tarik was born with incredibly big hands, so huge that it scares villagers of Uttar Pradesh, India. He has been demonised and refused basic human rights, in fact, He has been refused education for fear that he will freak the other children out. He is fatherless, and his family can’t afford necessary treatment. Though doctors speculate he might be suffering from elephantiasis. His brother takes care of him and helps him perform basic tasks such as eating, bathing and even putting on clothes. His family seeks help and are optimistic that medical science will change his condition for the better.